It’s tempting for a parent to trade the WiFi password in exchange for a piece and quiet. In that exchange, parents get the most welcomed peace and kids get to go online and do their thing. 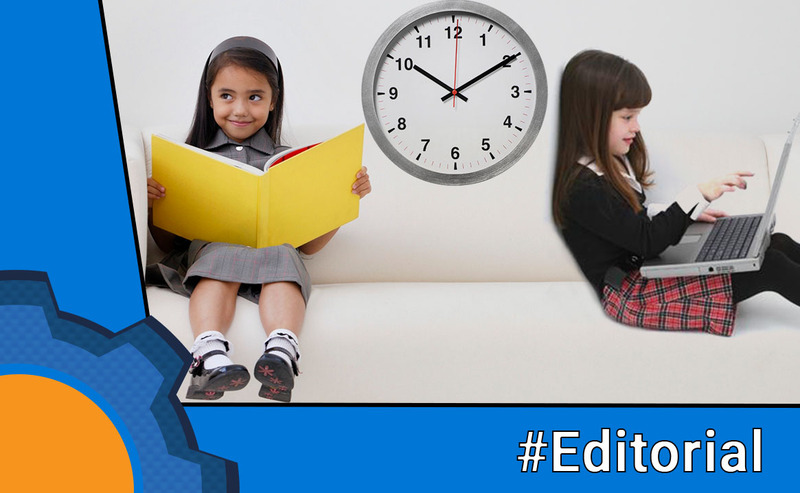 The trouble starts where the kids are so glued to their screens, that their homework and bedtimes are interrupted. Unsupervised access to the internet can be a nightmare to deal with. Parents of the age of internet are trying to solve this Internet of Trouble by changing the WiFi passwords, taking away charging cables or paying hundreds of pounds per year for parental control software. Fortunately, there is another way to get on top of internet parental controls – Fingbox. I’m not a parent myself, but after extensive talks to friends of mine who have kids, I discovered that parenting alone takes so much time, that parents have very little time to research better parental control options. They stick to what is most familiar to them and what works reasonably well. The truth is, parental control doesn’t have to be difficult, nor cost you an arm and a leg each year. Since launch Fingbox has been marketed as a network security tool. While this is a 100% accurate depiction of what Fingbox can do, the device comes with an array of parental options that are way less complicated than other professional solutions. I’m going to talk about parental controls available through Fingbox. 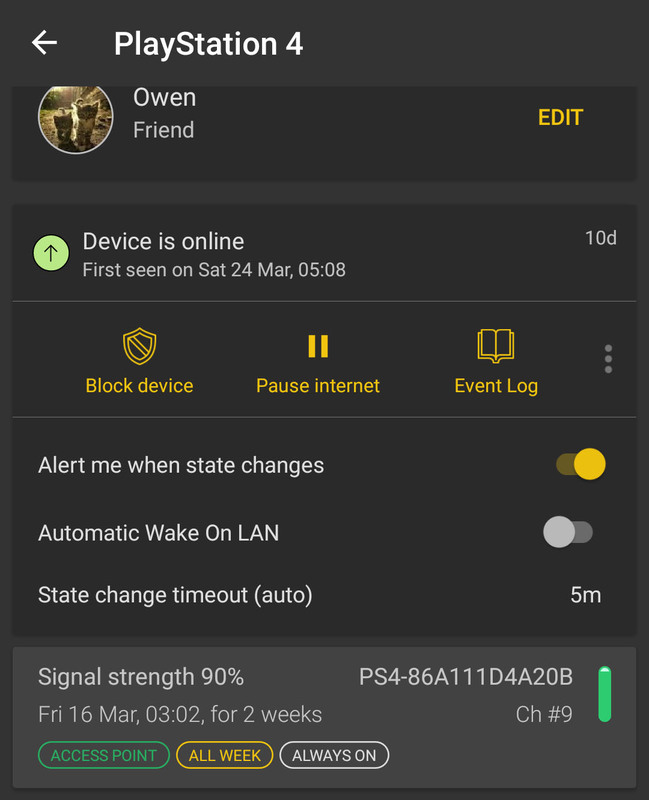 Fingbox allows you to block (completely disable the network) or pause (disconnect the device while keeping access to local networks) any device that is connected to the same network via WiFi or Ethernet. With a touch of the button, you can stop the internet or any device including mobiles, computers, consoles, smart TV, watches or speakers. You can see this already beats the solutions like WiFi passwords (excludes wired devices), taking charging cables off (excludes battery powered devices), or parental controls software (often not available for consoles, TVs etc). Fingbox allows you to assign each device to a single user, then manage the internet policies per user or per device. All this is available with a touch of a finger from your smartphone. No subscription needed. Let’s start with the basic. Internet keeps us adults awake at night and it has the even worse impact on kids. Having generous bedtime hours reduces numbers of distractions and could possibly resolve the problem of fussy wake-ups for school. Fing app comes with bedtime hours which are assigned to users. 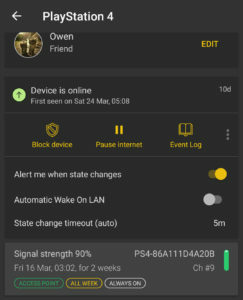 Every device assigned to a user in the bedtime mode will be disconnected from the internet at the defined hours. You can pick separate bedtime days for each day of the week. When it comes to homework there are no compromises. In the similar fashion to the bedtime hours, schedules can be set to allocate 2-3h homework slots where kids have no access to their personal devices (but could access an allocated homework PC). Schedules are automatic as well. Apart from bedtime and homework templates, other custom schedules can be created to accommodate different parenting scenarios. Fingbox gives you that flexibility. Another perfect tool which could be used as an ad-hoc punishment. 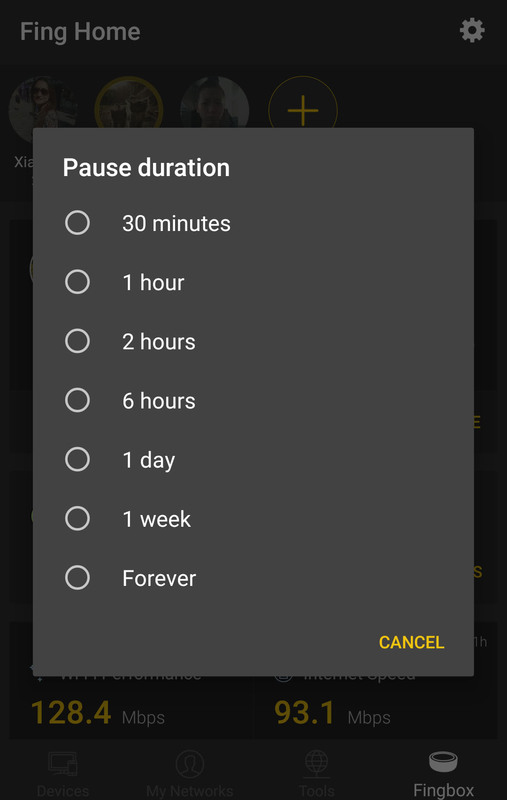 Single user or a device can be paused for 0.5 -24h. The device (or all devices) won’t have access to the internet for that time. The punishment can end automatically, after the defined time, or ended manually at any given time. Fingbox allows you to receive mobile/email notification when a device (or user) connects to the internet. This is great if you don’t want to block the device just yet, but at the same time monitor if the kid listened to the restrictions given by you. 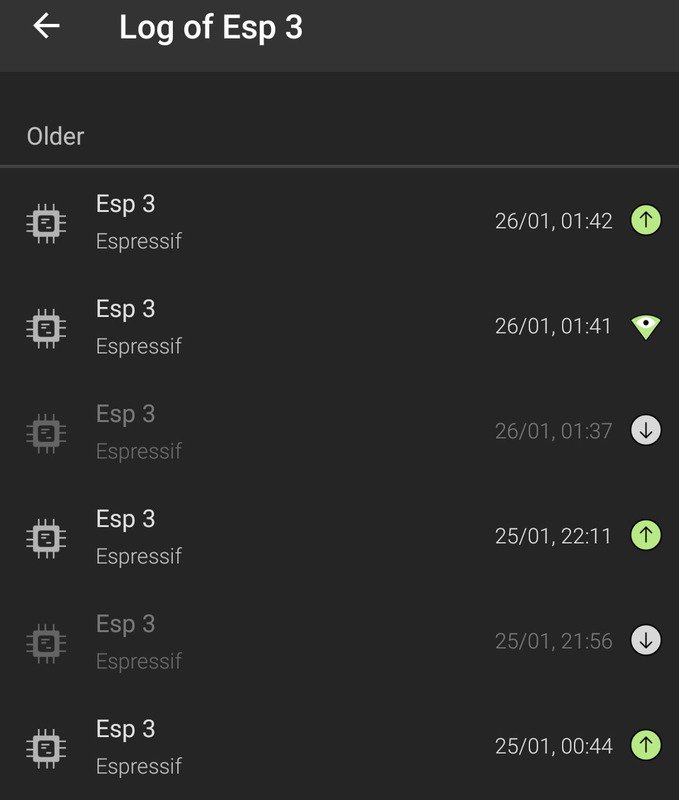 Each device has its own activity log. It will tell you when the device came online and when it went back offline. A great tool if you just want to monitor the internet usage of your kids. It can be hard to determine how much time kids spend online if they keep changing their devices throughout the day. The log will help you with this. 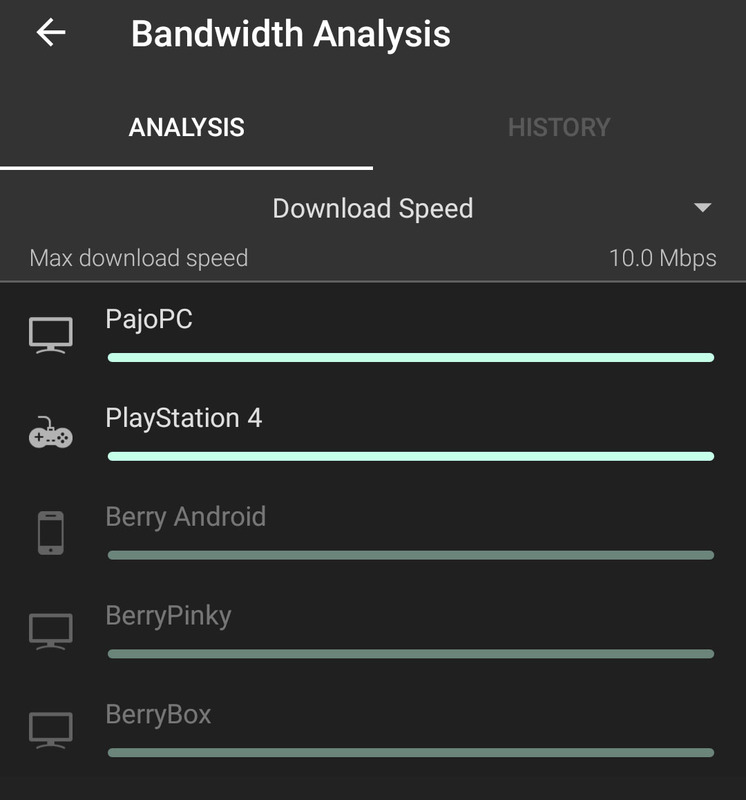 Lastly, you can also use the Fingbox to monitor which device is eating through the bandwidth. This is especially useful if your internet is capped, or if you struggle to go online due to 10 other devices streaming YouTube in 4K. 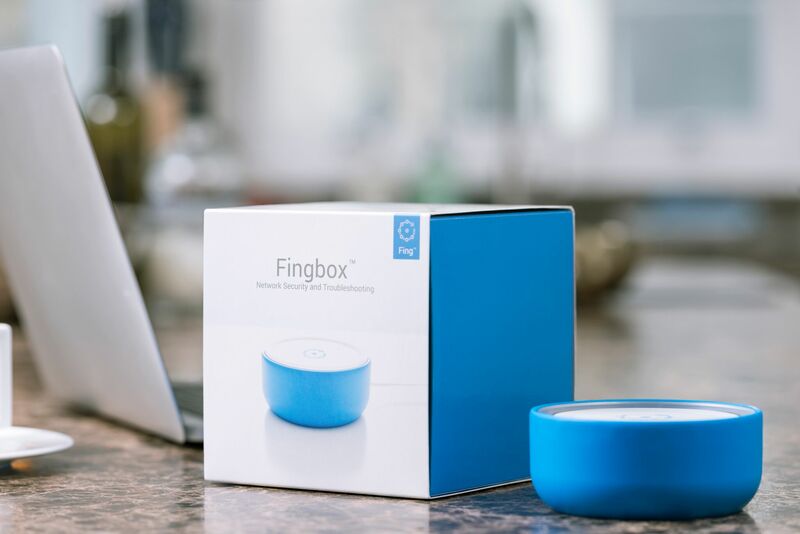 To work, Fingbox requires a wired connection to the internet. If the box is disconnected from the router, it no longer can prevent users from getting online. Fortunately, Fing app will notify you when it happens. Should your Fingbox became detached from the router, you can get an email and in-app notification of this fact. Lastly, Fingbox can’t monitor the traffic. You won’t be able to filter adult content or check what websites have been visited by your kids. You will need an alternative tool for that, or check logs stored by routers with that function. The ease of use and lack of subscription make the Fingbox a good internet parental controls tool. It needs no software installed on other devices, can block every device on the network and it just works great. If you are looking for an easier way to control the internet usage at home – just consider it. 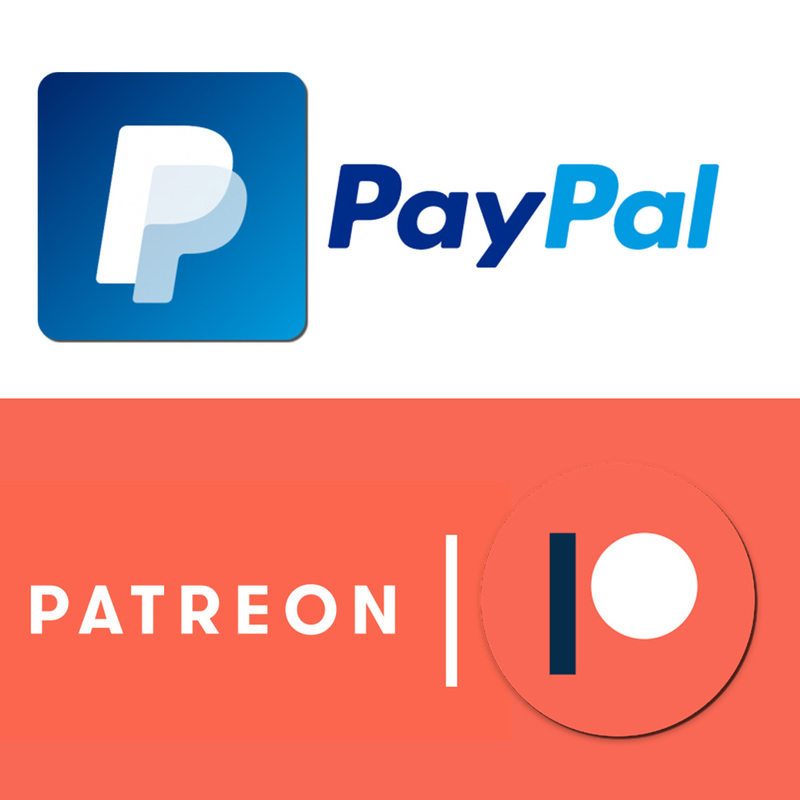 I have been using mine since November, and I have to say the support, and the number of new functions introduced since has been awesome! I can honestly recommend it to any parent who wants the parental controls to be easy. Noone wants to run around collecting cables and changing WiFis all the time! If you want to read the full review of the Fingbox click here.